Thank you to all who attended Back to School Night last night. In my Algebra II classes one parent asked about "Flipping the Classroom," and in a handful of minutes it was difficult to communicate my vision for what this change will mean for students at Bedford High School. With Flipping the Classroom, students watch videos I have created, and during class they work in teams on Problem Sets and other assignments meant to develop 21st Century Skills of communication, collaboration, problem solving, and critical thinking. My objective is to have the students engaged and learning the entire class period, and developing these 21st Century skills that they will need to be college and career ready. 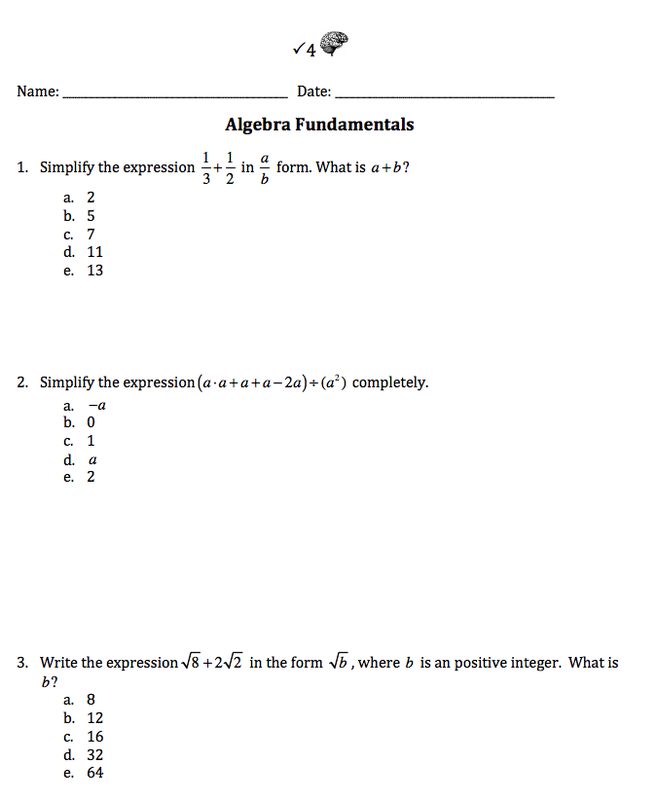 For part of last year, without iPads, my Algebra II classes watched "Flipped" videos and worked in teams during class. Feedback from parents and students was positive and supportive and this year the iPads will make what we are doing even more powerful. I am aware that this represents a significant and fundamental change in how math is traditionally taught. It is a change that I couldn't be more excited and hopeful about. During class I am constantly circulating the room checking in with each group, asking and answering questions, and getting to know and building relationships with students. We begin classes with Do Nows (SAT problems that help prepare students for the SAT and MCAS); we discuss homework as a group based on the questions students entered on the Video Summarizer Google Form after watching the videos; and we have frequent checks for understanding to assess, informally, if the students are understanding the material. These three components of class are done as a large group. This year I am doing Checks for Understanding using an online program called Socrative, which allows me to get data about how the entire class is doing. I share this data, without names, to the students after each Check. Ask your son or daughter about it. Sharing the data is my favorite part of class, and I track the data for each student throughout the year using Google Spreadsheets. 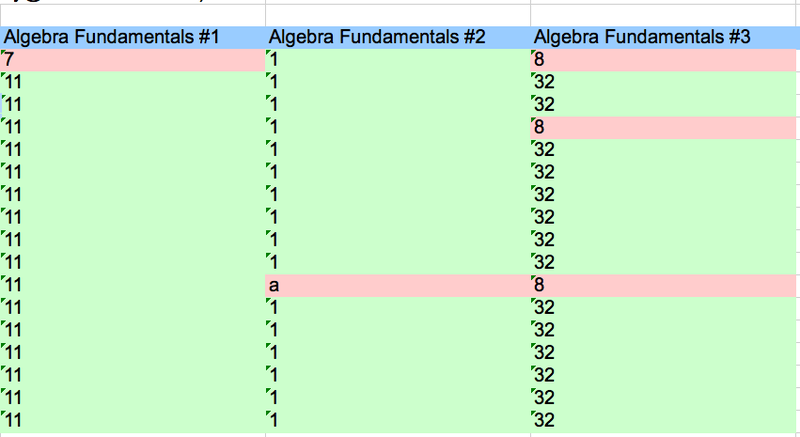 Below are the results for one Check for Understanding we did on Algebra Fundamentals. Sample Check for Understanding Class Report. Ask your son or daughter to visit our Moodle page which includes our Do Nows, Notes, Problem Sets, Checks for Understanding, and the beginnings of MCAS material. After our first assessment students will be in their first groups, and the aforementioned 21st Century Skills will really begin in earnest. We are building a database of math videos that will help all students, and the great part about them is students can pause and rewind and watch whenever they'd like. The videos are meant to be accessible to students in all levels of Algebra II, and it is during class where we dig deeper into the concepts. Check out the videos so far this year on our Department's You Tube Channel. If you'd like to talk more about Flipping the Classroom please email me at patrick_morrissey@bedford.k12.ma.us and we can set up a time to talk. It is going to be a wonderful year of learning and exploration.